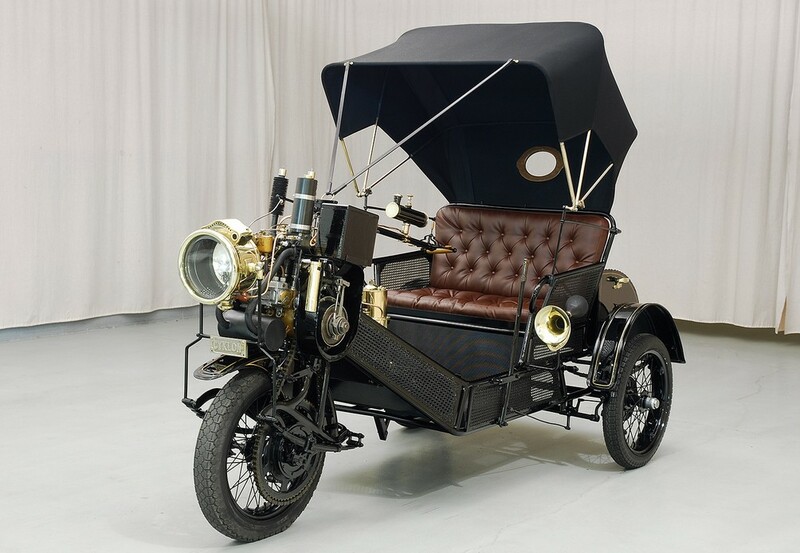 Cyklon Maschinenfabrik GmbH of Berlin introduced their first vehicle in 1902. It was this strange but wonderful little “Cyklonette.” Cyklon would later built more conventional cars before going out of business in 1929, but the Cyklonette is what they are known for. If you’re thinking “gee, that looks awfully complex there at the front” – you’re right. It’s an unusual bicycle-themed design where the engine is attached above the front wheel – which is the driven wheel. The vertical 1.3-liter two-cylinder engine makes 6 horsepower. Some of these cars actually had four-cylinders! It has tiller steering and a wicker body. It’s like the spiritual ancestor of the tuk-tuk. If you want more information on the bewildering drivetrain setup, I encourage you to go to Hyman Ltd’s site and read more here. Cyklon built the Cyklonette through 1923 and this early example is said to be largely original, however it has had some cosmetic upkeep over the years. It looks incredible. A fair number of these were built, but you rarely see them. It’s priced between $80,000-$85,000. This entry was posted in Uncategorized and tagged 1904, cars, classic cars, cyklon, cyklonette, for sale, hyman ltd by classiccarweekly. Bookmark the permalink.